HEAD’S UP: In case you haven’t heard, it’s fall. Autumn! What a wonderful time of year, no? For weeks now, those in the rag trade have been rolling out their new stock for shoppers who may be in the market for a few more threads and layers or to get shoppers in said mood. To help trade and to help VEVLYN’S PEN readers and followers (potential shoppers), Yours Truly will be bringing to your attention over the next few weeks or so various fall collections. What shall I call these snapshots, for I won’t bore you with a treatise? Yes! I've got it: “Glimpses of Fall.” I reckon just about every Thursday through Thanksgiving or November (whichever comes first; I haven’t checked the calendar:o), I’ll provide a peek at a collection/line/brand that I deem captivating and worthy of your notice. Happy shopping! (potentially). GOODYEAR Sewing is a double-enforced sewing method that ensures that shank and sole remained joined. Separation is not an option. Goodyear Sewing is but one of 250 steps required to make one pair of Sendras. 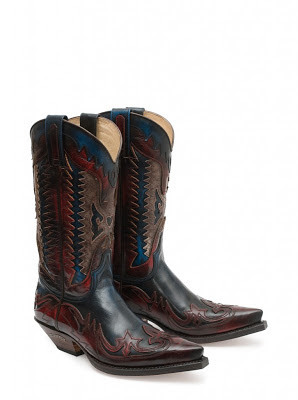 This very detailed process translates into comfortable boots that are going to be around for a long time – possibly as long as nearly a century like Sendra Boots, the Spanish company that produces the fanciful footwear. Men's Biker, 58 Md.tan, No. 3434. 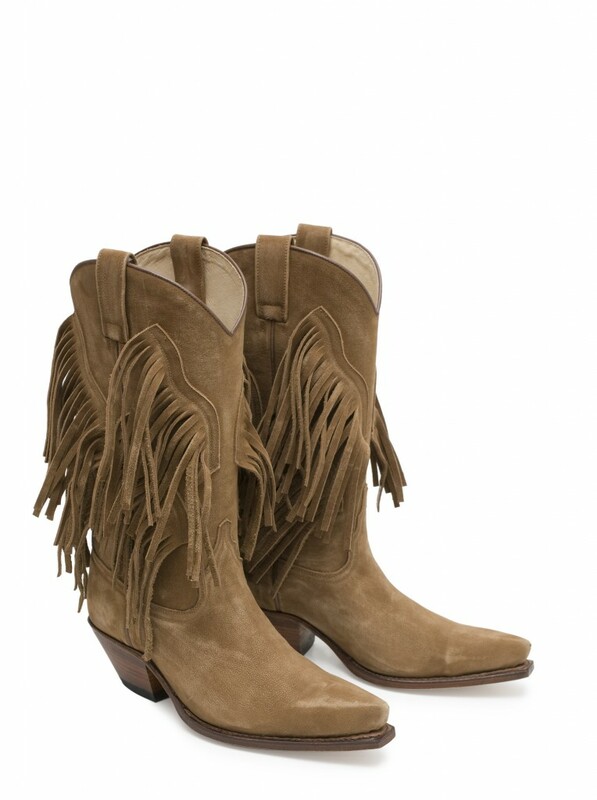 Photos from Sendra Boots Web site. Women's "Style," Olaya Oxido 498, No.10659. 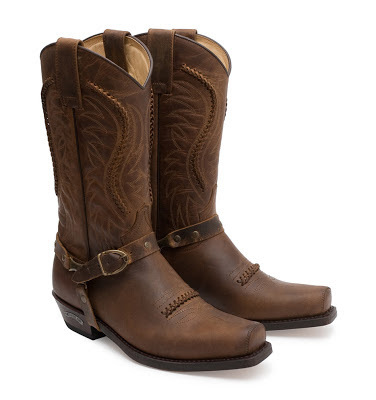 Sendra boots are 92% handcrafted. This explains in huge part the aforementioned 250 steps, comprising cutting and sculpting leather, as well as the embroidery and piercing required to create the various motifs. And then combining them all to create a final product, each with its own number. 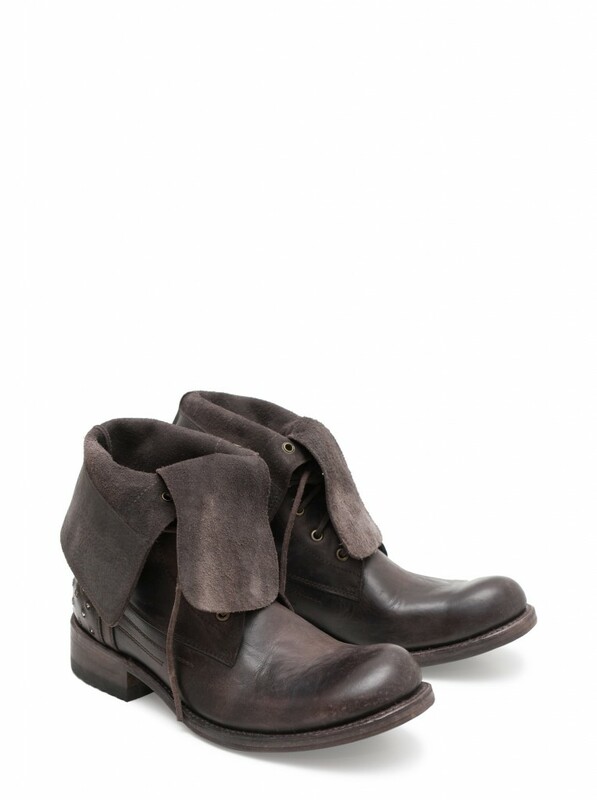 Men's "Style" May Olimpia Marron, No. 10658. Beyond the obvious craft is also aesthetics. Fall 2012 men’s and women’s styles fall under such rubrics as Aztec, Belted, Floral, Fur, Patriotic and Reptilian. Sendra Boots are available at several destinations online (Google “Sendra Boots”), as well as at Nordstrom, Saks Fifth Avenue, Western Héritage and other select stores around the world. Women's Cowboy Cuervo Rojo-du cados, No. 3840. Visit http://www.sendra.com for more information about Sendra boots.